Set in Venice and Spain, this lively and colorful comic opera includes some of Sullivan’s most beautiful and soaring tunes along with extravagant dancing and ensemble numbers. The Gondoliers is the most popular and often-performed of the Gilbert and Sullivan comic operettas after the “Big Three”- Mikado, Pirates and Pinafore. True to form, the operetta is also full of Gilbert’s most biting satire and hilariously clever wit. No one is safe and the society and government targets are still relevant to modern times. 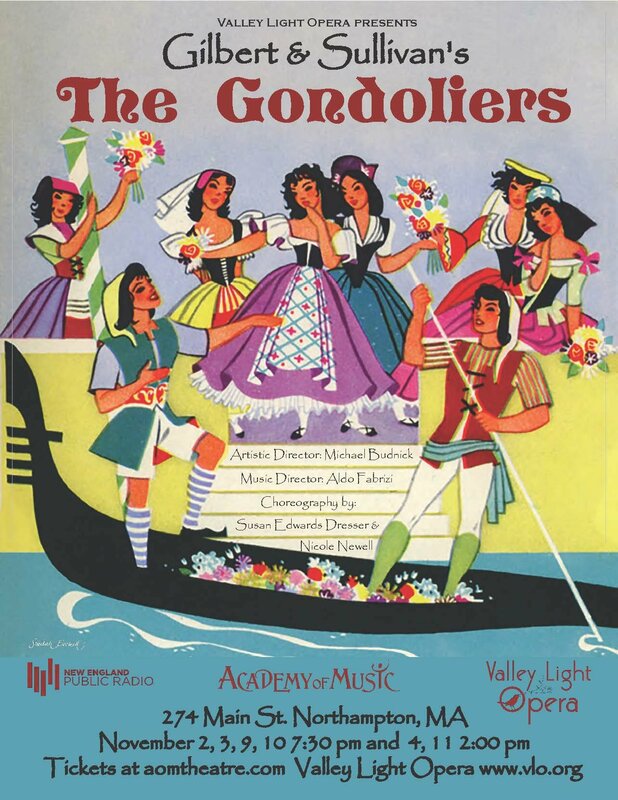 Valley Light Opera will be performing The Gondoliers as a complete, elaborately staged production with a full orchestra and choral ensemble, splendid sets and the sumptuous costuming for which the company is renowned. Performed with supertitles.